Kitchen : These beef meatballs are good, but with this sauce on them, it's delicious!! These beef meatballs are good, but with this sauce on them, it's delicious!! It's a love story between my meatballs and I ! Meatballs, what a great way to cook minced meats! This recipe of meatballs and its honey sauce is sublime! Preheat oven to 450 ° F. Line a baking sheet with parchment paper and set aside. In a large bowl, gently whisk the eggs. Add all other meatballs ingredients and mix until combined. Roll balls of the desired size and place them on the prepared plate. Put all the sauce ingredients in a bowl and whisk. 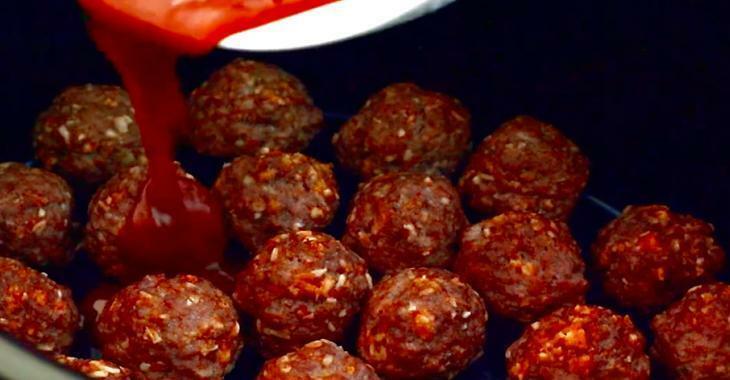 Place meatballs in your slow cooker and pour the sauce. Cover and cook for 2 hours at high intensity, stirring gently after one hour of cooking. Serve with rice and a vegetables!